No political party, organisation or individual of influence in the area of migration argues that every person on the planet should have the right to live and work in Ireland. As such, there is widespread support, even if it goes largely unspoken, for laws which could be termed “anti-immigration”. One might not know this from general discussion of the issue. Debate on immigration has become part of what is sometimes called the “culture wars” of modern life in the western world. As is so often the case when a matter becomes important to culture warriors, sane people who want a quiet life tend to avoid the subject. The downside of this is that debate on immigration – on social media in particular – is left largely to the paranoid, who see it as bringing doom and who often seem to believe that Ireland is being overrun by foreigners, and the virtue-signallers, who frame immigration as akin to motherhood and apple pie and dismiss any questioning of it as racist. The past week has seen a familiar pattern of reaction emerging following the call for a debate on immigration by an embryonic political party. There has been lots of heat and much less light. Let’s have a look at some facts. In Ireland, there are three very different and distinct parts of the immigration picture. A big majority of immigrants in this state are European citizens, who have full rights to live and work here. The second grouping is people who have been granted refugee status, or who have applied for asylum as refugees. The third grouping is people from the rest of the world who can only live here because they have been granted specific – and usually time-limited – work visas. Consider first the country’s biggest group of non-nationals – people from the other 27 member countries of the EU, along with those from Iceland, Liechtenstein and Norway. Ireland has no control over the 500 million people across Europe who have a right to work here. As the Brexit debate in Britain will have made abundantly clear, changing this situation would require Ireland to leave the EU’s single market, which de facto means leaving the EU. There is next to no prospect of Ireland doing what Britain has done. Support for membership of the EU is very strong, according to opinion polls. Few people doubt that membership is foundational for Ireland’s prosperity. Nor is free movement of people within the bloc viewed negatively, something that is much more the case in Britain. The absence of opposition to having European citizens coming here in large numbers is in part explained by self-interest. The latest figures from the Central Statistics Office show that more than a quarter of a million people aged 15 or older from the 26 continental countries live in Ireland. Four out of five are employed. Among Irish people, fewer than three out of five work. In other words, compared to Irish nationals, this immigrant group pays more into the collective kitty via taxes than they take out via public services and welfare benefits. What about refugees, one of the three distinct groups of immigrants? As in many other countries, there have been times in the past when asylum seekers have hit the headlines. That happened in Ireland around the turn of the century, when applications soared. Like most countries in the world, Ireland is a signatory to the 1951 UN convention on refugees. Ireland does not stand out – for ill or good – in how it meets its obligations under the treaty and to my knowledge, nobody has suggested pulling out of it. As such, there does not appear to be much impetus for public discussion of the matter. Again, hard facts might explain why this is the case. Last year, 3,673 people claimed asylum status in this state and 683 people had their claims accepted by the authorities. These are low numbers relative to the size of the population – one refugee accepted for every 7,000 people already resident here. That the numbers seeking refugee status here are low is in large part because the system is rigorous. Last year, people from Albania and Georgia topped the list of asylum-seekers here. This is somewhat curious. Neither country is at war. Both countries are democracies and have been well functioning by global standards for some time. On the face of it, there should be few people from these countries claiming they need protection from persecution at home. As it happens, that is what the application process finds. 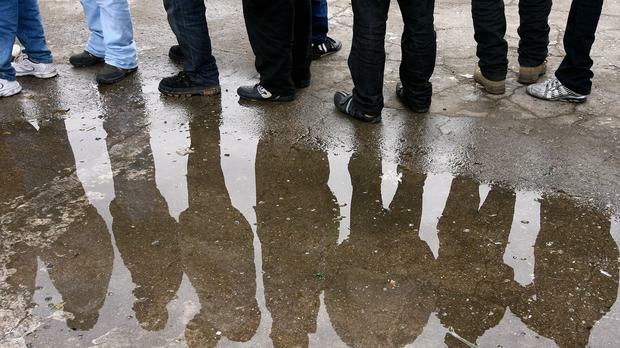 Of the asylum applications from Albania, 99pc were rejected last year. Among Georgians, it was 97pc. At the other extreme were Syrians. Last year, people from that war-ravaged country were the third-largest group by nationality to seek asylum. More than 98pc of applicants were accepted. The third group of immigrants in Ireland are those who need visas to work here. Unlike refugees, who are granted asylum for humanitarian reasons, countries grant work permits for purely self-interested reasons. Last year, 13,398 people were given work visas. Again, these numbers are small, amounting to just over half of 1pc of the overall labour force. But in this aspect of immigration, there may well be issues up for debate – there are no international obligations, and applications are treated on a case-by-case basis. As previously discussed in this column, the rationale for granting low-wage visas to food producers is highly questionable. Apart from the fact that low-wage workers pay almost no tax, adding more of them holds back wage growth for those who need it most. Workers in the technology sector tend to be at other end of the wage spectrum. Last year, work permits for that group accounted for a third of the total issued. These workers make a big contribution to the economy and the Government’s coffers, but adding thousands of them a year at a time of an acute housing shortage also pushes up housing costs. In this specific case, there is an argument for making the issuance of visas dependent on tech companies investing in the housing stock, so that the wider inflationary effect is mitigated. As with any large-scale social phenomenon, migration is a vastly complex subject. It would be forlorn to hope discussion of it will become less dominated by the shrill, but a fact or two might do some good.